One late evening, a student came down to my office, wanting to join my International English Language Testing System (IELTS) class. This young lady told me how she had given her IELTS for the second time but she knew her performance was not upto the mark and hence, she was not expecting the band score she required; despite paying Rs54000 for the course itself. On the day of the exam, she woke up at 5:30am, and had a healthy breakfast with a mug of coffee to make sure she wouldn’t feel drowsy in front of the speaking examiner. However, I could see a mime of chaos on her face as the young lady told me how she was unable to answer some of the examiner’s questions suitably, which gave her a rough idea that she would once again not grade beyond a 6.5 band. This girl had been practicing her English relentlessly over the last 25 days, which was odd, as we all know that practicing English as much as you can and utilising uncommon vocabulary (that is not commonly used in day-to-day conversations) before you walk into the exam room is usually regarded as the recipe for success. I mean, such tips are available on almost every IELTS website on the world wide web, yet test-takers are not getting their desired band score. 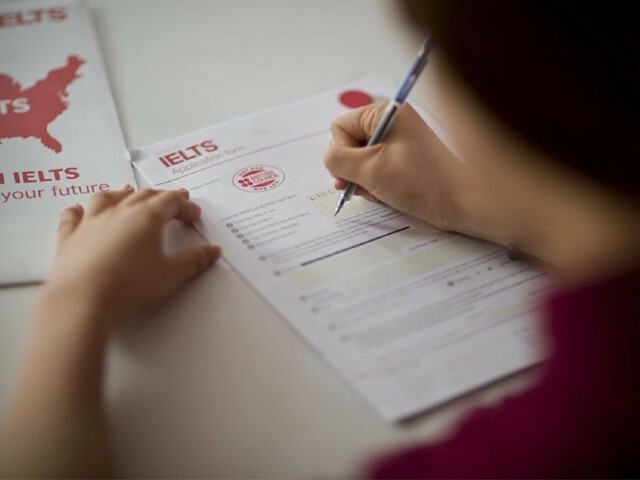 She was no exception; I have heard of similar cases (and similar consequences) quite often, which is why I decided to write a blog for prospective IELTS test-takers. Going through all the tips and strategies available online is not sufficient in getting a tick of approval from the examiner. One needs to use a wide variety of grammatical structures (not just loading sentences with vocabulary) and adding mimes, gestures, facial expressions the moment he or she starts speaking. Humans have a natural tendency to be more engaged when someone’s speech is commanding and overtaking. I don’t mean that you should speak impolitely and crazily, but your speech should come directly from your diaphragm. If your diaphragm is underdeveloped, your breath will normally be shallow and frequent. But if your diaphragm is deep, you have a good grasp of your breath. We begin by learning to deliberately engage and develop the diaphragm, by allowing for more air to pass through your vocal cords with greater force. In doing so, one’s volume and speech intonation (rise and fall of accent) increases, which ultimately creates a lively voice for a longer period of time. 4. If you have a natural speech pattern. Everyone needs to know that these underlying factors determine your band score. If you don’t know how to bridge your communication gaps by using expressions, phrases, or signpost words, then you will most likely end up with an average performance on the exam. All of us are aware about not giving short answers or monosyllabic responses to the examiner, so elaborate on each question as long as you are speaking relevantly to the topic. Which answer do you think will impress the examiner? Definitely not the first two! The first speaker is a disaster but what about the second? The second speaker has a detailed answer but there are lots of pauses, repetition and it sounds mediocre. If you speak like this, irrespective of how many pauses you take, it will still sound like the average test-takers who get a band score of 6.0 to 6.5. In contrast, the third answer uses expression and links the relevant topics with uncommon lexical items, making it the most superior answer out of the three observed. My student, who was asked the same question, started feeling nervous and ended up using gestures. She didn’t know which crop was most popular in her area. Does it mean she had poor English skills? No. When a student becomes more conscious in answering a question based upon their personal life, their response to the examiner is quite poor. Why? Because as opposed to focusing on articulating the response in a suitable manner relevant to the topic, speakers are too busy trying to come up with a factual response! Here is my strategy: don’t try to be too conscious of facts and figures. Look! If the test-taker was from Islamabad, I’m 100% sure that he would know wheat isn’t produced in Islamabad. But the examiner is not going to investigate whether you quoted a correct percentage or if people in your area are really leading a happy life. In reality, the examiner is bound to award you with a satisfactory band score based on your English skills. 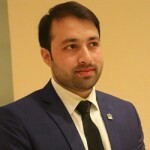 I always believe in fabricating your answer rationally, ensuring that it makes sense and has a linguistic potential to impress the examiner, and ultimately amount to your success in IELTS examinations.